Sacroiliac joint is beautifully and wonderfully made. This sacroiliac joint page is long and important. Came back later if you only have two minutes. Pour a cup of tea, and take in a deep breath; here may be the solution to your chronic low back pain; and your wife's unexplained infertility. These large connections in the pelvis are a frequent cause of lower back pain and may even be the most common. It is certainly involved in a heap of conditions from pulled hamstrings to groin stabs and hip arthritis. SIJ pain is unique because it's most unusual, and like no other in the body. Thus it comes as no surprise that the diagnosis and treatment of lower back pain from this structure requires specialized tests and training. Medicine has long doubted that anything that moves as little as the sacroiliac joint can cause so much lower back pain. In fact early medicine denied there was any motion at all. This doubt was ultimately proved quite wrong by an innovative Swiss chiropractor who did research on fresh human cadavers, proving that the SIJ is indeed a moveable joint. Switzerland has produced many profound chiropractic thinkers and researchers, and has probably the most integrated participation in the health care system in the world. Chiropractic salutes your memory Dr Fred Illi. This page was last updated by Dr Barrie Lewis on 19th March, 2019. Now, isn't that an appropriate name for a man consumed with a passion for the sacroiliac joint? The symptoms of back pain emanating from the sacroiliac joint are difficult to distinguish from other types of LBP. Specialised testing of the SIJ is required. Here's an anecdote from the chiropractic help coalface. Doctor, I have pain down here in my buttock. Mrs Thompson was an attractive thirty year old woman, obviously in the last trimester of her pregnancy. Is your pregnancy otherwise routine? No problems? Yes, I'm fine. My doctor says it's part of pregnancy, and there is nothing to be done. He said it will go away after the birth. Yes, and no. A hormone is released around this time making you vulnerable to sacro iliac joint pain. No, because there is much to be done. We have various techniques that can treat you quite safely. And no, because there is no guarantee it will go away after your baby is born. Let's start with an examination to see if this is a chiropractic problem or not. There are just so many conditions that can cause buttock pain. Particularly in the final stages of pregnancy, but really in every case. Is this a maigne's syndrome, radiating down from the thoraco lumbar junction? Is it a femoral nerve slipped disc? Or a lower lumbar facet syndrome? Or an underlying hip condition like hip dysplasia that lay dormant during the non stressful period before conception. A piriformis syndrome. Add to that the many medical conditions that can cause buttock pain. History > examination > diagnosis > treatment. Sacroiliac joint is a frequent cause of low back pain and may even be the most common cause of LBP. The pelvis consists of a ring of three structures. Two large pelvic bones, each called an ilium, plural ilia, adjective iliac, joined in the front at the symphysis pubis. The sacrum, or tailbone, makes a movable joint, called the sacroiliac joint, where it connects with each ilium. The sacrum, sitting neatly between the two iliac bones, thus forms the foundation for the whole spine. The skilled doctor has little difficulty in detecting motion or, rather a lack thereof, during the normal physical examination. 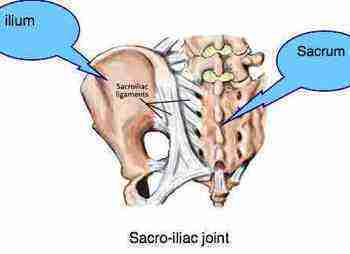 One of the big problems is that the sacroiliac joint may also lock in other syndromes. For example, it often fixates in the patient with an arthritic hip. Which is the primary problem remains open to debate and further research. Could a chronic jammed SIJ be a major contributing factor to arthritic degeneration in the hip? It's a distinct possibility, but impossibly difficult to scientifically prove. Both are certainly may be related to a short leg. Always ask your chiropractor to check for a significant leg length inequality. A simple, inexpensive insert in your shoe can make a vast difference. Of course, you can pay hundreds of dollars too. So, what are the causes of sacroiliac joint pain? Common causes of sacroiliac joint pain are injuries: a direct fall on the buttocks, as in skating, a motor vehicle accident, or even a blow to the side of your pelvis, as may happen in a fall in the kitchen. A fall on the sacrum is particularly dangerous. The force from these falls can further strain the tough bands of ligamentous tissue that hold the ilium and the sacrum tightly together. Tearing of these ligaments can lead to excessive motion in the joint, eventually leading to wear and tear of the joint. However, it is considered that degenerative arthritis is even more likely to be caused by joint locking, which starves the joint hyaline cartilage of nutrients and oxygen, and causes the build up of waste products in the joint. Sometimes pain occurs because of an abnormality of the sacrum bone itself. The sacrum is actually a very specialized set of bones, like the bones that make up the spine, but they fuse together around your twelfth year to form the sacrum. However, in some children, the bones that make up the sacrum never fuse together properly, creating a malformed lumbo-sacro-iliac joint; a false joint occurs. This is sometimes called a "transitional” segment, possibly causing a greater likelihood of low back pain. 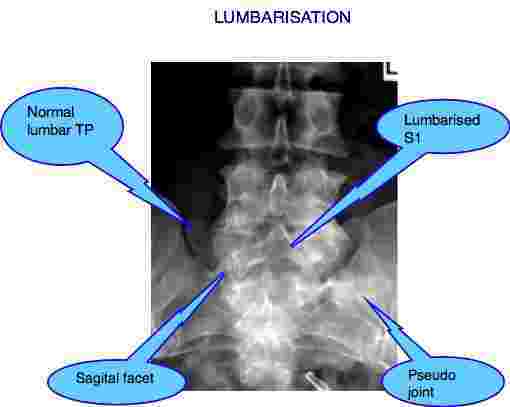 In the X-ray above, on your reading right you can see how the uppermost segment of the sacrum never fused properly. On your left, it has a normal transverse process (TP) but on the other side, there is a very large amorphous TP that has formed an abnormal joint with the sacrum. This may not be important to the medical doctor prescribing anti inflammatory drugs, but at a more specialist level, this X-ray has provided vital information. For example, this patient has another anomaly. Notice the little joint marked sagital joint? Look on your reading right - it's quite different. That is vital info for your chiropractor. Read more at leg pain during pregnancy casefile. Chiropractors believe that fixations or ‘locks’ in the SIJ are great contributor, whether primary or secondary, to lower back pain. Their clinics are full of folk looking for chiropractic help for their lower back pain. A short leg is another major cause of SIJ pain. And arthritis too. It's a bit of chicken and egg: perhaps the hip arthritis causes the SIJ fixation, we certainly know that a short leg usually causes a SIJ fixation on the opposite side . A leg length inequality is a major cause of sacroiliac joint instability. Google appears to frown on too many links, so phrases in bold, like that above, need to be put into the Site Search function in the navigation bar on your left if you want more information. Sciatic-like pain - pain that travels from the sciatic nerve in the lumbar region into your buttocks, back of the thighs, and sometimes the calf and foot. The pain is typically caused by irritation of the nerve roots that join outside the spine to make up the sciatic nerve. You might feel numbness, tingling, or burning sensations in the leg. Sitting is often difficulty and painful, especially in the car. Using the clutch and accelerator may be painful. Often there is a confusing pattern of back and pelvic pain making diagnosis of SI joint problems more difficult..
Have you ever been seriously injured? A bad fall on ice, or down the stairs, from a horse ...? How long has the problem has been bothering you? Is standing, or walking slowly, painful? Is there weakness or numbness in either leg? Do you have problems urinating? Do you have pain in the groin? Do you have upper lumbar pain? Via the superior cluneal nerves pain can be radiated to the buttock. It's well known that a careful and thorough history can often pinpoint the problem. Is it a sacroiliac joint fixation. Or a hip arthritis? Or a Maignes syndrome? Perhaps a Meralgia paresthetica or a Femoro Acetabular Impingement syndrome. FEMORO ACETABULAR IMPINGEMENT SYNDROME .. Following this, your doctor will examine you personally to try to find the source of your back /buttock /coccyx /thigh /groin/ and even scrotal sac pain. Many of the tests will be trying to determine whether the problem is coming from the spine or from the SI joint, or even the hip joint. Proding around in the groin may be awkward and embarrassing. Take a family member with you perhaps for the physical examination. What complicates the diagnosis of the SIJ is that fixations are often accompanied by a different clinical condition, the lumbar facet syndrome and the even slipped disc symptoms may often mimic all of the above. Yes, it's true, a nightmare! A group of top lumbar scientists, orthopedists, surgeons, anatomists believe that less than 50% of the time can they be ABSOLUTELY sure what the source of your lower back pain could be. I wouldn't argue. Your clinical examination may include the following orthopaedic tests used to determine if the SI joint is indeed the primary problem. Motion palpation is one of the most important parts of the examination of the sacroiliac joint, and lower back pain in general; but it's an art only learned with years of practice. Yeoman’s Test. The sacroiliac joint is stressed by the examiner, attempting to extend the joint. Posterior sheer test or POSH. The two sides of the joint are forced together and stressed. Gaenslen's Test. The examiner will have you lay on the side of the table so that one buttock and the unsupported leg drop over the edge and the opposite supported leg is flexed to the chest. In this position, SI joint problems will cause pain because of stress to the joints. Patrick's faber Test; the knee and hip are flexed, and the knee is then pressed outwards into the lotus position to test for hip and SIJ mobility. SI compression test. 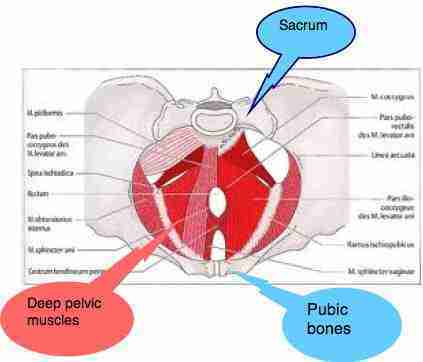 Lying on your tum, your chiropractor will press down on your pelvis, forcing the ilium against the sacrum. The pain may be sharp, and may in fact hurt in the opposite joint. The joints in the lower leg are vulnerable if the SIJ is fixated; an ankle sprain may occur for example. All joints, to some extent, are capable of an active range of motion, termed voluntary movement. In addition, there is a small range of movement that can be obtained only passively by the examiner; this movement is called joint play, or accessory ROM. These accessory movements of the sacroiliac joint are not under voluntary control; they are necessary, however, for full painless function of the joint and full range-of-motion of the joint. 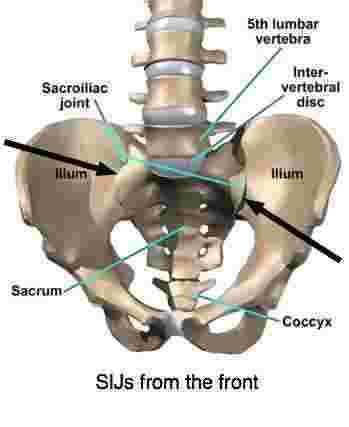 Sacroiliac Joint dysfunction signifies a loss of JOINT PLAY movement. The existence of joint play movement is necessary for pain free voluntary movement to occur. If the JOINT PLAY movement is found to be absent, this movement must be freed before functional voluntary movement can be fully restored. This is best done by skilful manipulation. To prevent re-occurence of sacroiliac joint pain a daily set of simple exercises for sacroiliiac joint pain makes a lot of sense. An ounce of prevention is better than a pound of cure. X-rays may be recommended by your chiropractor to determine if there are abnormalities of the sacroiliac joint or a malposition due to injury or a short leg. This is also to rule out other disease, and degenerative change in the pelvis which is common as we age. "A picture's worth a thousand words." If your MEDICAL doctor feels that your back pain is coming from sacroiliac joint, you will likely be presented with two completely different treatment options which may appear to be exact opposites - MANIPULATION or STABILISATION? Why would the two treatments for one joint be so different? At chiropractic help we favour more movement, not less. No one really knows what causes the pain from a sacroiliac joint that is not suffering from severe degenerative arthritis. In some cases, it appears that the joint is "too stiff" or "locked" and needs to be more mobile to function correctly. In these cases, the pain seems to respond to mobilization and manipulation of the joint. In other cases, especially when there are definitely arthritis changes noticeable on X-rays, reducing the mobility of the joint for a period may decrease the pain. The appropriate treatment is still hotly debated by many health providers. Chiropractic Help is more likely to take the mobilization/ manipulation approach but the stabilization approach using a belt is favoured by some cases. MOBILISATION of the joint may include exercises and manipulation. This type of therapy is directed to loosening up the joint ligaments, allowing the joint to move in a normal fashion. Stabilization of the joint may TEMPORARILY find benefit in a corset, but muscle strengthening and pelvic stabilization exercises are in the LONG TERM of more benefit. Today, the surgical fusion of the Sacroiliac joint is not a common operation, except after extreme trauma to the pelvis. In hip socket conditions such as developmental hip dysplasia and femoro acetabular impingement syndrome, the sacroiliac joint frequent also starts to play up; they are intimately connected. Successful treatment of these condition means also addressing the SIJ. In fact this applies to hip arthritis too, and after hip replacement surgery; often the supposed failure is not because of inadequate surgery but because the fixation in the SIJ is not discovered and treated. Groin and thigh pain are the norm. It shouldn't have caught me by surprise, it's happened so often, but nevertheless I get a powerful kick in the pants when it does. Mrs J phoned yesterday to ask if it's safe to continue with chiropractic, she's eight weeks pregnant; unexplained fertility is a very painful subject; just ask her. What's so surprising about that, you may well ask? Well, Mrs J came as a new patient with a host of problems, neck, shoulder, midback, sacroiliac joint pain about four months ago. In passing, tearfully she added that they had been trying for years, but she was infertile, despite many tests. The nerves from the spine don't supply the skin and the muscles and joints. They supply the organs too. The nerve supply for the ovaries is primarily in the upper lumbar spine, but the autonomic nerve supply comes from the lower thoracic spine (sympathetics) and the vagus cranial nerve (parasympathetics). Enjoy this free chapter, Bee under the mitre, from my second book, Bats in my Belfry ... was the baby the Bishop's child, or his grandchild...? Before going for very expensive implant therapy, not to mention the chance of having twins, triplets, quads... isn't worth asking your chiropractor to check your sacroiliac joint and spine? Google appears to frown on too many links, so phrases in bold, like that for Bats in my Belfry in my above, need to be put into the Site Search function in the navigation bar on your left if you want more information. Because the muscles of the pelvic floor attach to either the sacrum or the iliac bones, a chicken-and-egg situation often exists in which one or more of these bones, and especially the pubic bones become very sensitive, usually associated with a Sacroiliac Joint subluxation. This is particularly true in pregnancy. Case files should really be treated with a pinch of salt. They are anecdotes without scientific value. Nevertheless, they illustrate a point. Type Sacroiliac Joint case file into the Search function at the top of the navigation bar. Chiropractic Help is a very large site with over 450 pages; learn to use that search function; it will make your life a lot simpler. Femoro Acetabular Impingement Syndrome Case File Is that groin pain from the SIJ or coming from the hip? Anti inflammatory omega-3 and the sacroiliac joint. Look to increasing the anti inflammatory foods in your diet if you have an angry sacroiliac joint; or anywhere else in the body too; that would include your blood vessels, colon, muscles, and any organ for that matter; enjoying them every day is what keeps that anger at bay, not stuffing NSAIDs with all their nasty side effects when you have a huge problem. 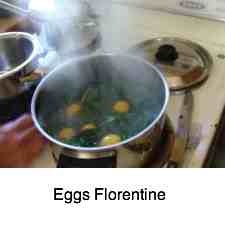 Consider the benefits of delicious eight colors eggs Florentine on inflammation in your sacroiliac joint. The average Western diet is at least 50% deficient in the B vitamin choline; it has a vital role to play in the methylation of highly inflammatory homocysteine by providing betaine, needed in an enzyme to facilitate the process. Egg yolks and 100% wholemeal bread are two of the best sources of choline. Food and inflammation are undeniably connected. Tomato soup recipe is one delicious and healthy way to go about it. Upper and middle back and hip joint pain; do I have ankylosing spondylitis?